View from former lock 73 towards lock 74. 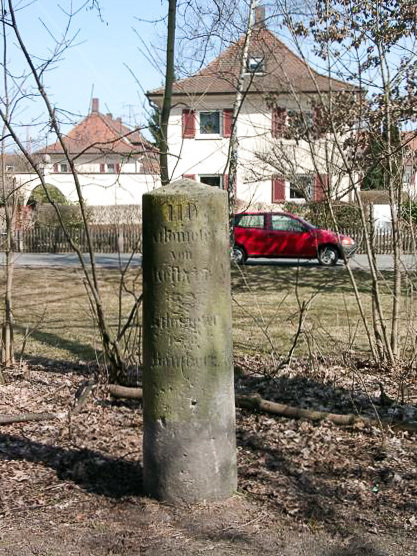 The erstwhile route of the canal remains as a park. Without water it looks slightly bleak, but this can also be caused by the season the photograph was taken. From this point on any trace of the canal is really erased. 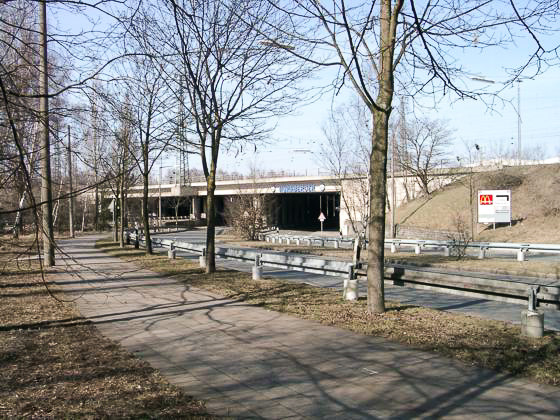 The street leads onto the Frankenschnellweg (motorway A73) that was partially built on the line of the former canal. 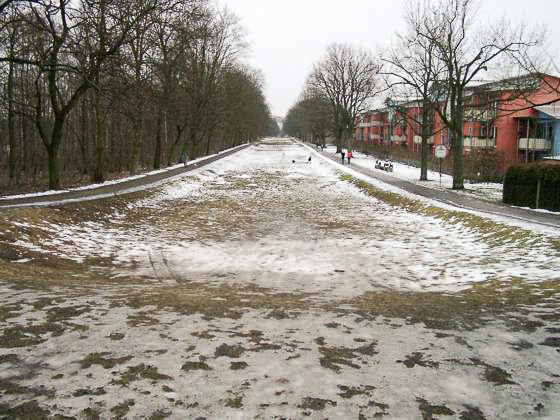 However, inside Nuremberg the canal was destroyed earlier - through bombs during World War 2.